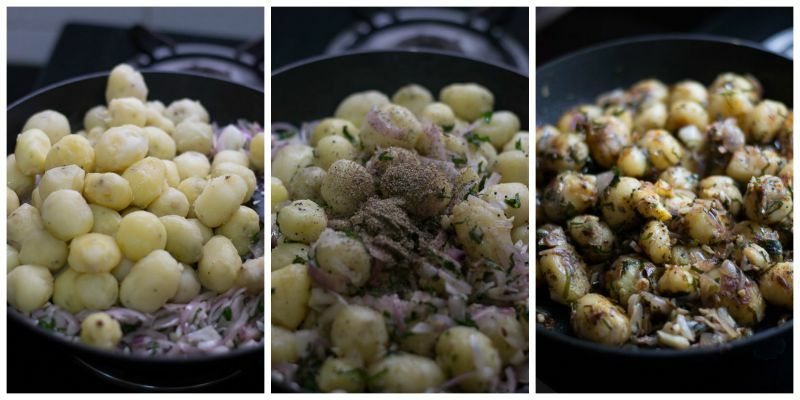 Easy Tamilnadu style Baby Potato Fry recipe. With step by step pictures. 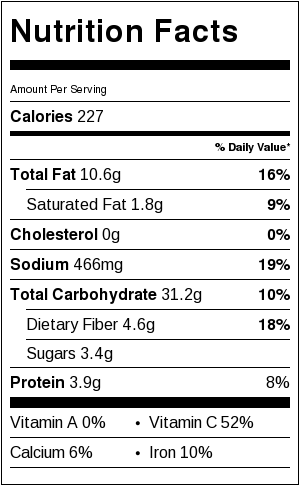 Potatoes are a favorite among kids and adults alike. I have not yet met a person who does not like fried potatoes. 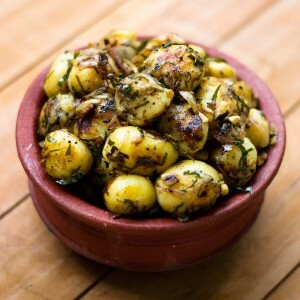 This is a very simple potato fry thats made with baby potatoes. There are very few ingredients in this recipe. Here is how to do an awesome baby potato fry. 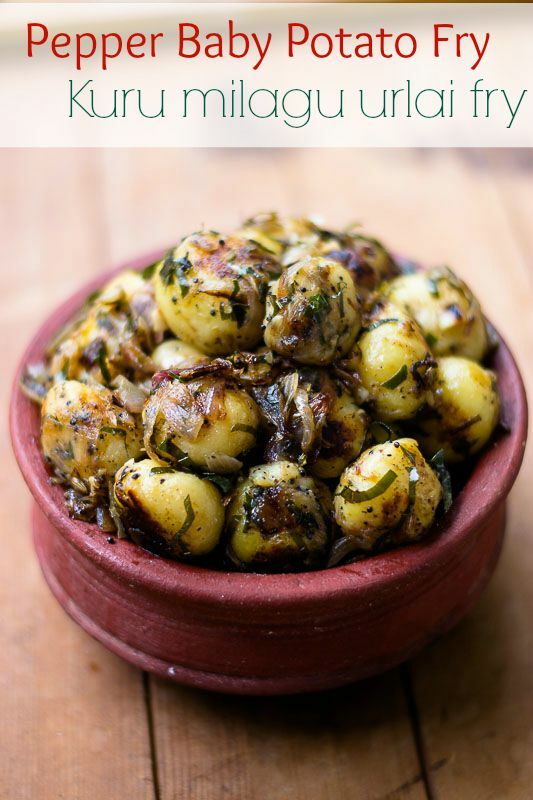 This potato fry goes as a nice side dish for sambar or rasam. Heat oil in a pan until hot. Add in the mustard seeds and fennel seeds. Let it splutter. 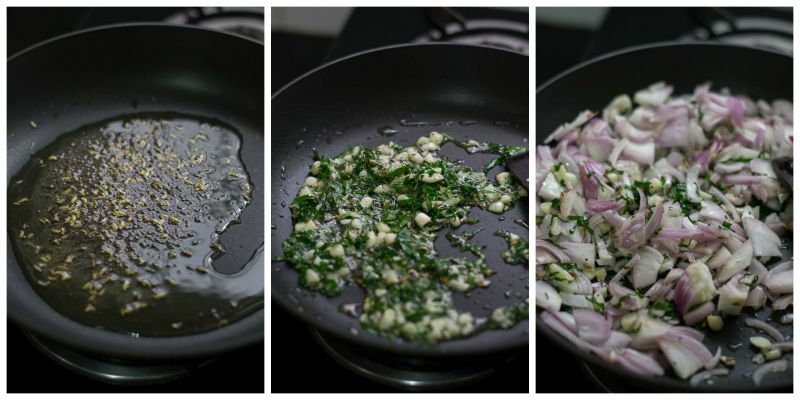 Add in the chopped garlic and the chopped curry leaves. We need to add lot of chopped curry leaves. 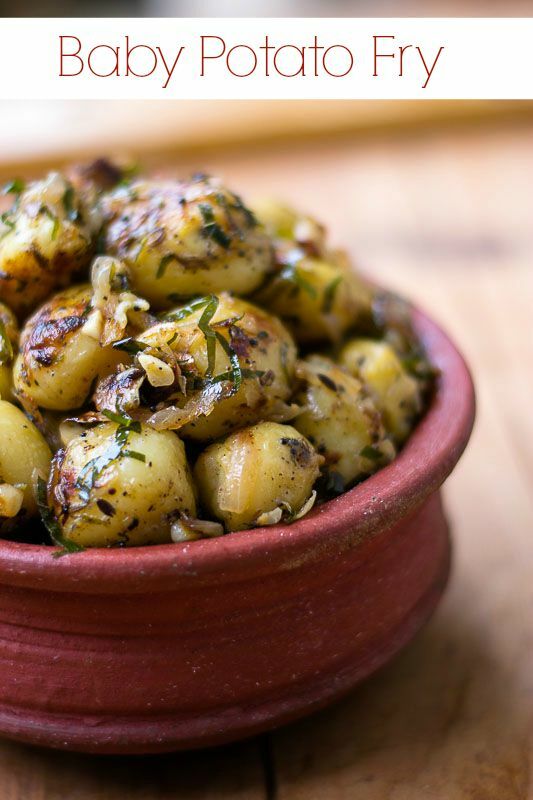 The curry leaves give a very distinct flavor to this baby potato fry. Fry for a minute. Now add in the sliced onions. Fry till the onions are soft. Add in the boiled and peeled potatoes ( I boiled the baby potatoes with water in a pressure cooker for 2 whistles. Let the whistle release naturally. Drain the water and peel the potatoes when they are warm). Add in the pepper powder and salt. Reduce the flame to low and fry the potatoes for 30 minutes in low flame. Saute once in every 5 minutes gently so the potatoes does not break and also does not scorch at the bottom of the pan. The baby potato fry is done when the potatoes are brown and roasted. Heat oil in a pan until hot. Add in the mustard seeds and fennel seeds. Let it splutter. Add in the chopped garlic and the chopped curry leaves. Fry for a minute. Now add in the sliced onions. Fry till the onions are soft. Add in the boiled and peeled potatoes, pepper powder and salt. Reduce the flame to low and fry the potatoes for 30 minutes in low flame. Saute once in every 5 minutes gently so the potatoes does not break and also does not scorch at the bottom of the pan.